Designed to anticipate and fill the needs of just about any small office, the affordable HP OfficeJet printer line is diverse and packed with options. Need a simple, low-cost solution for just one person or your regular home office? Want to print wirelessly? We’ve got you covered. That goes for if you’re shopping for a bigger work group, too, because many of our models serve as a reliable, long-term hub for up to five-member teams. Across our range of standard HP OfficeJet models, you’ll find a variety of print speeds available based on your needs. We also have versatile all-in-one models and high-efficiency, print-only devices as well. If you need a print speed you can count on day after day, consider our affordable HP OfficeJet Pro 8210 Printer that offers 22 pages per minute in black ink and 18 pages per minute in color. Do you prefer an all-in-one with well-rounded features? 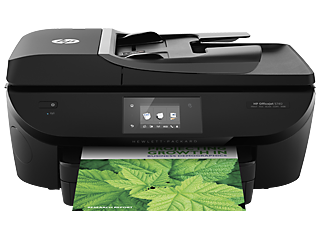 Choose between our HP OfficeJet 5255 All-in-One Printer or upgrade for more powerful print speeds at not much extra cost with the HP OfficeJet 3830 All-in-One Printer. 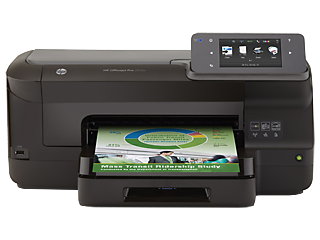 Even better, they’re set up for easy wireless printing via smartphone or tablet with the HP Smart App. When you need a little extra power for a larger office or workgroup, we offer two mid-sized ranges to accommodate heavier workloads. 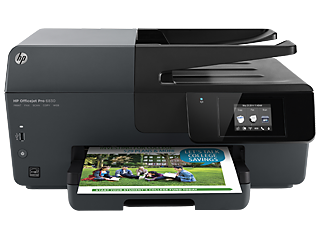 You can double your print speeds and massively increase the monthly duty cycle for your printer with one of our HP OfficeJet Pro 6000 models, which have configurations designed to print up to 20 ppm in black and 11 ppm in color. 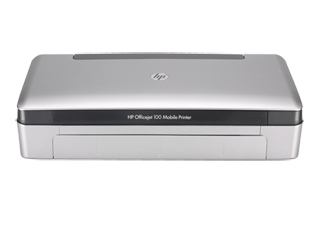 For even more speed and manageability features, the HP OfficeJet Pro 8000 is a serious option. 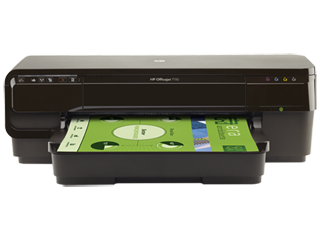 It has print speeds of up 24 ppm in black and 20 ppm in color, making it a high-powered benchmark in the line. When work keeps you on-the-go, try shopping our HP OfficeJet Mobile line of printers. 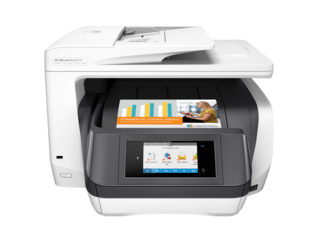 It includes the print-only configured HP OfficeJet 200 Mobile Printer and the powerful, all-in-one HP OfficeJet 250 Mobile Printer. The best part is that these devices are both so small that they easily fit in a backpack or travel case. Do you need a printer that can help you keep up with unusual print sizes? For business owners who depend on posters or media of different sizes, check out our line of HP OfficeJet Wide Format all-in-one printers designed just for you. They boast high print speeds and support for up to 11 x 17-inch paper on top of our standard features. With many HP OfficeJet printers, you’ll find support for high-yield ink cartridges that can provide as much as twice the typical output of standard cartridges. That means less time tracking down refills and replacements, and more time for the things that matter. 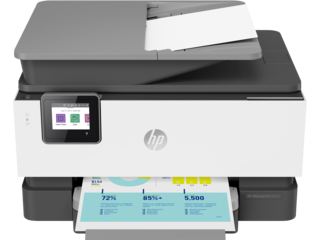 Or if you’re ready to try something new, consider our convenient HP Instant Ink replacement service. With HP Instant Ink-enabled printers, our built-in software detects a low ink supply and automatically orders a replacement before it can become a problem. Just pick from our tiered monthly rates and start printing - there’s even a free option for low-volume printers. Whether you depend on your printer all the time or just occasionally, you’ll find a variety of HP OfficeJet models tailored to your needs.